Top 5 health boosting plants that are easy to grow and a great “salad bowl” of ingredients. Best of all, these will grow in the ground, raised beds, and containers. Scroll down for Roasted Carrots: a 3-ingredient recipe that is super easy and delicious! As winter marches on, I’m thinking of spring. Good thing the first day of spring arrives in March. But I don’t need the calendar to remind me it’s coming because some of my plants are waking up. I’m on the hunt to maximize the ROI on what I eat. So this year I’m planning that in my very small garden. I’m better at eating than growing. I want plants so easy a child could do it. It’s not quite time to dig in the dirt, but will be soon. Gardner and Wyoming Plant Company owner Tom Heald agrees this is a great “salad bowl” of ingredients. And best of all, these will grow in the ground, raised beds, and containers. 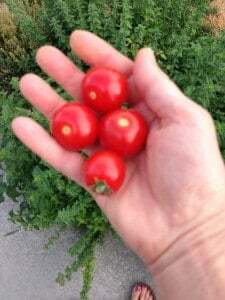 Tom says: If grown in a traditional garden in the backyard I recommend first amending the soil with a little compost (that means mix it in to the dirt). If on the other hand, you intend to grow these in a container I recommend a high quality potting soil. These types of potting soils include beneficial microorganisms which actually enhance the veggies to flourish and produce to their maximum. Also have on hand a good all-purpose fertilizer and use it according to the instructions. None of these veggies will use much fertilizer, but they will need some. You can’t beat the flavor of a home-grown tomato but red cherries are also packed with healthy qualities from potassium, vitamin C, and lycopene. We absorb more lycopene from cooked tomatoes. Cherry tomatoes are prolific producers, so you will have lots to pick, cook, and enjoy. Tom says: I recommend a purchased plant for a headstart. 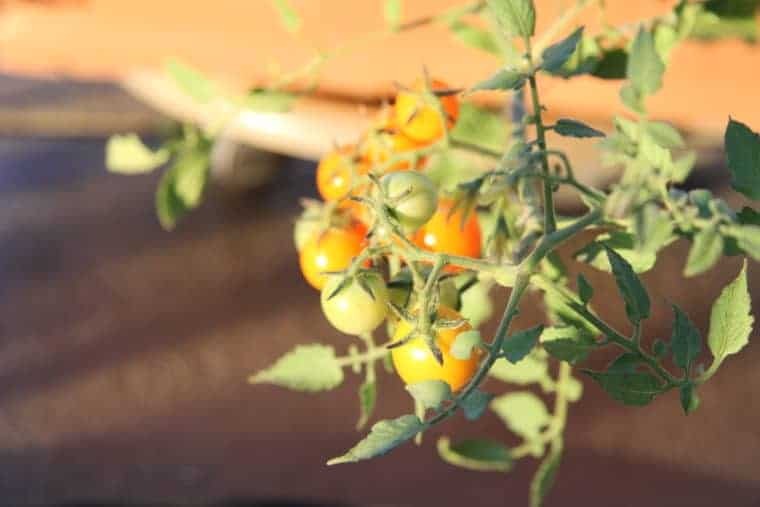 Tomatoes originated from Central and South America, that is to say, they love the sun and the heat so grow your tomatoes in full sun but protect them from wind. This peppery salad green is an antioxidant super star. Use young arugula that is 2-3 inches long in salads, sandwiches, or as a fresh pizza topping. Tom says: A packet of seeds will get you going and you’ll be eating it in about a month. A benefit of red or purple carrots are the plant compounds that give their rich color prove to be a health benefit to us. Orange are fine too, but why not pull a rainbow of good out of the ground? Tom says: A benefit of carrots is that even as fall approaches these can be left in the ground, so your harvest lasts beyond freezes and early snow. Colder fall weather actually increases the sugars in the carrot making it even tastier. Choose varieties that have red or brown tipped leaves, such as red leaf or oak leaf for the most bang-for-your buck. The best thing about this variety is that is grows fast — you can trim what you need for dinner and in a few days you’ll have more to cut. Tom says: Leaf lettuce like cool temperatures so seeds can be planted early. But don’t be afraid to continue planting throughout the growing season. As the weather warms plant leaf lettuce in part shade. I know I may lose some of you here. Seems like there are no fence sitters on beet likeability. The world is divided between those who love ‘em and those who don’t. But maybe you can give them a try. The garnet jewel-colored beets are nearly off the charts in the good-for-you category. Plus this is a twofer veggie; you can also eat the leaves. 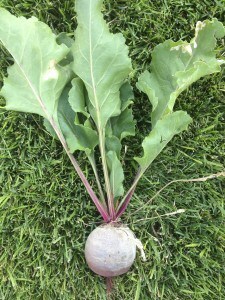 The beet greens are as nutritious as the roots. Tom says: Like carrots, beets survive after frost and snow and increase their sugar content. Plus they go with the salad greens you just planted. Plant a raspberry bush in the ground. These plants don’t require much care, but deliver fiber-rich fruit year after year. Berries are rich in disease fighting phytochemicals, so if you plant today you can enjoy raspberries in your cereal, salads, yogurts and smoothies for years to come. Tom says: Raspberries are an easy keeper and can be grown in full sun to part sun. P.S. Want more tips and recipes? Sign up for my newsletter here. 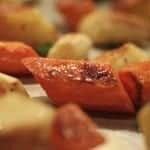 Roasted Carrots: a 3-ingredient recipe that is super easy and delicious! 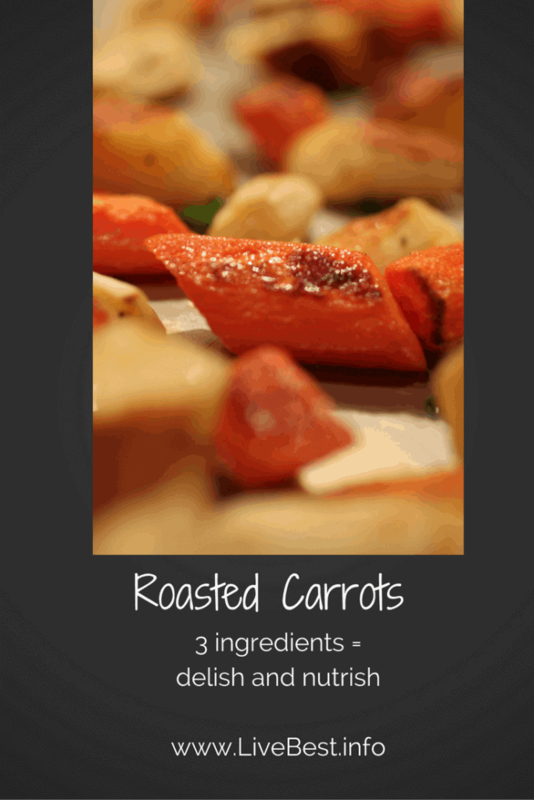 Preheat oven and baking sheet to 425 degrees F.
Cut carrots into 2-inch pieces. Drizzle olive oil and salt over carrots; stir to coat carrots. When oven is heated, pour them on the baking sheet so they are in a single layer. Roast for 15-20 minutes, until brown and tender. 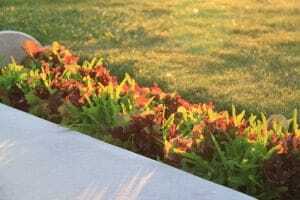 Check out some of Tom’s gardening videos at Wyoming Plant Company.